I started right off meeting and greeting as I filled in at the registration desk, stuffing bags and checking in a few authors. My first conference selfie wound up being photobombed. At the registration desk with Janice Willett. Photobomb courtesy of Ron O’Gorman. Why the selfies? There was a contest. That started off being just for fun, but then there were prizes! With Ellen Gable Hrkach, author and owner of Full Quiver Publishing, in the Trade Show booth. 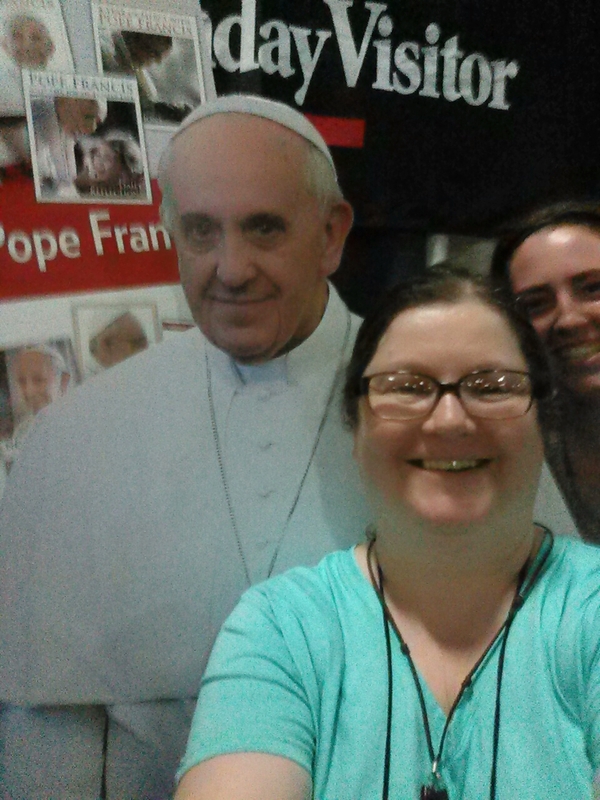 With the “Paper Pope” and volunteer coordinator Rebecca Willen. The folks at OSV were holding the “Welcome Pope Francis” sign. 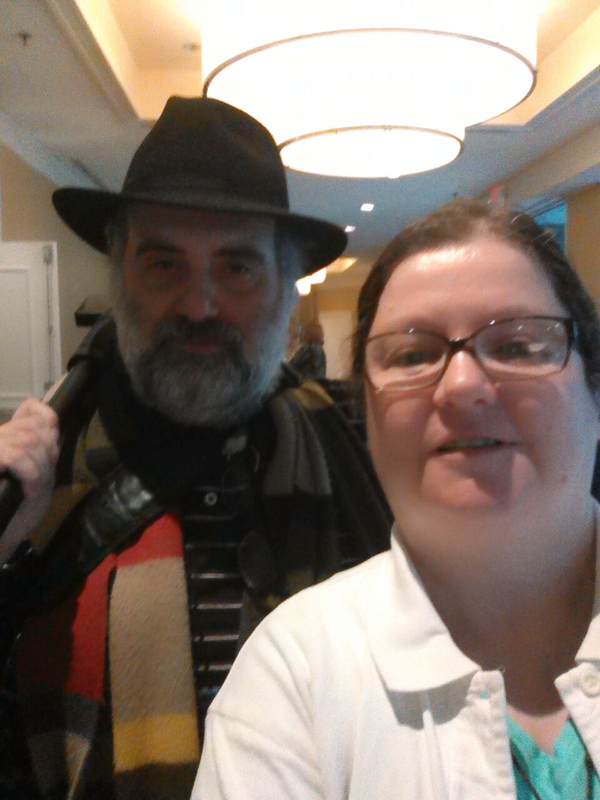 With @datechguyblog, a Catholic radio show host–who rocked the hat. I am terrible at selfies, but it was fun. More meeting and greeting continued at the Tuesday-night ice cream social. 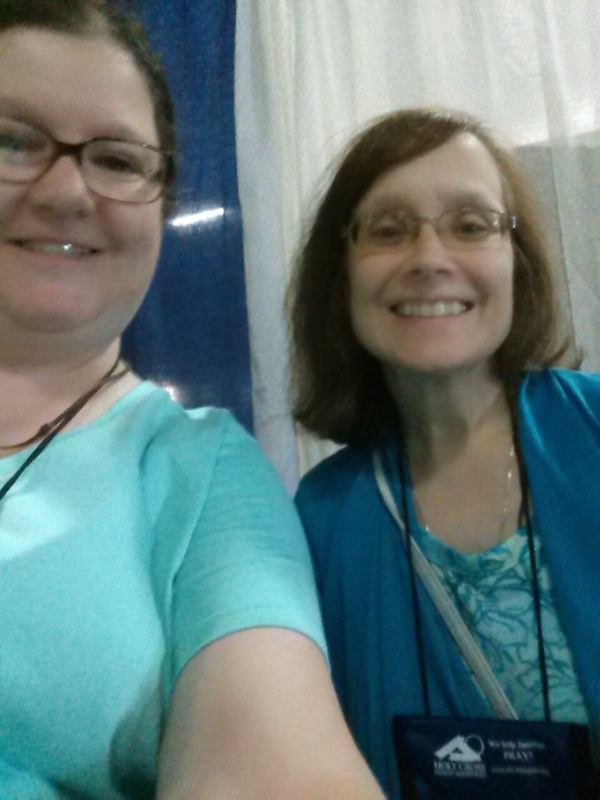 I got to meet my boss, Lisa Hendey of CatholicMom.com, who declared that I’m shorter than I appear on the Internet. Yes, before Tuesday, I had never met my boss or even spoken with her over the phone. Internet magic! 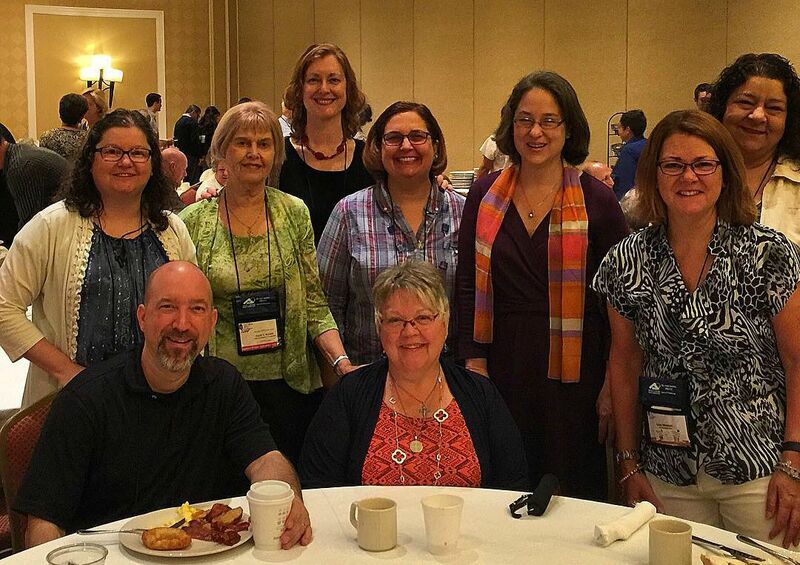 I got to meet authors and an editor at breakfast the next day. 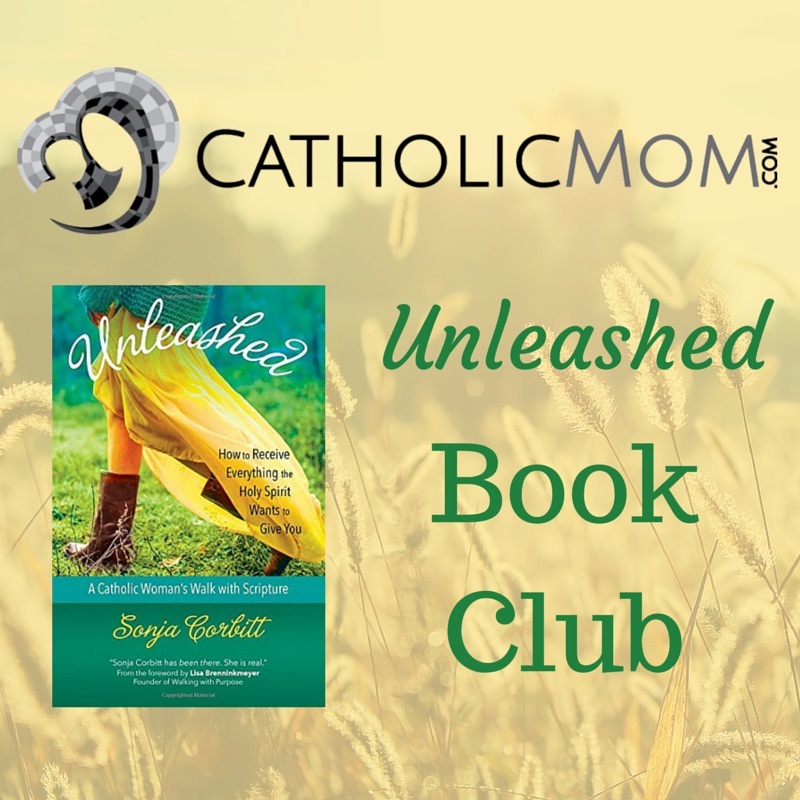 I wished I’d brought along my copy of Unleashed so Sonja Corbitt could have signed it. I suppose a hug will have to do. With Margaret Rose Realy, Obl. 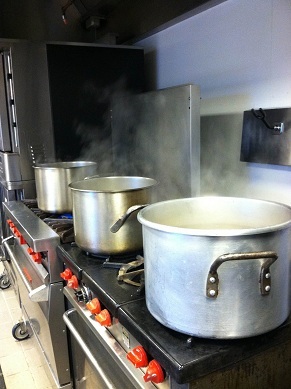 OSB and Erin McCole-Cupp, OP. 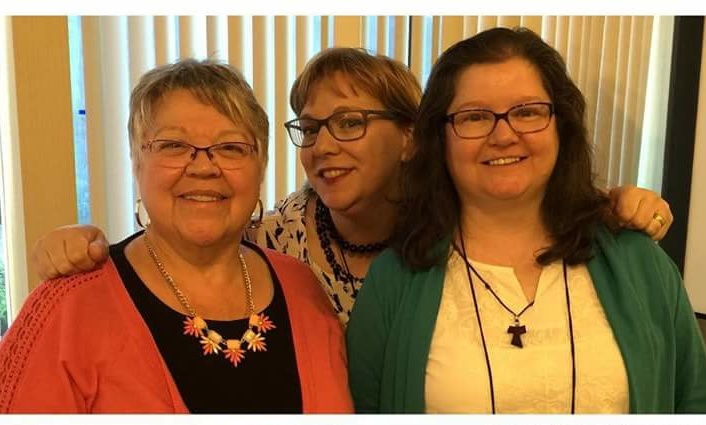 I participated in a panel discussion on third-order religious life with Benedictine Oblate Margaret Rose Realy and Lay Dominican Erin McCole-Cupp. The conference theme was Perseverance, and I listened to two excellent presentations on that theme. God’s steadfast love is the basis for our perseverance. Schedules matter; if you’re consistently off-schedule that means your plan isn’t realistic. So true. I know all about unrealistic plans. 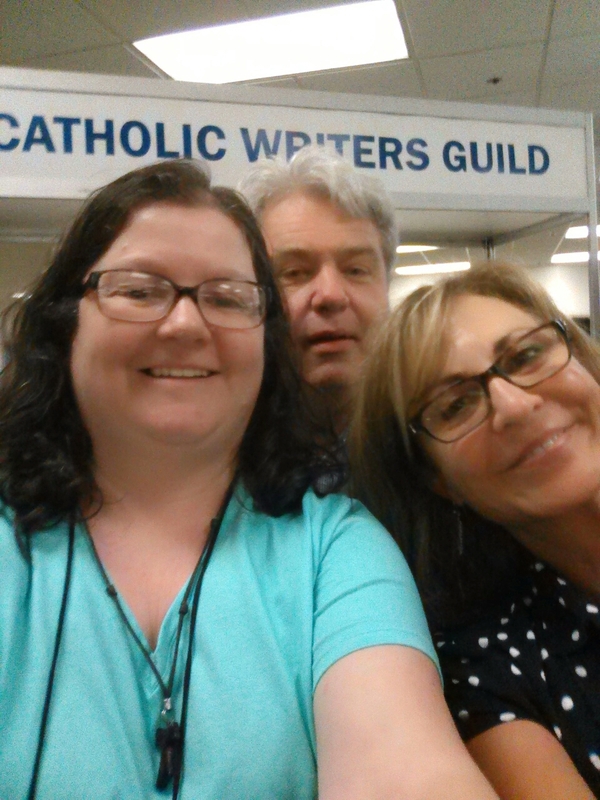 I enjoyed lunch with Lisa, worked a couple of shifts at the Trade Show booth where I answered questions about what the Catholic Writers Guild does and recommended some of my favorite books by Guild authors. The Wednesday dinner table included me, one kids’ fiction writer, two sci-fi writers, one horror writer, one poet, one Sherlock Holmes fanfic writer and two fiction writers. I’ll leave the conversation topics to your imagination and promise that it was even more outrageous than that. With (rear) Nancy Ward, Lisa Mladinich, Pat Gohn, Karee Santos, Lisa Hendey, Leticia Velasquez, and (front) Jeff Young (the Catholic Foodie) and Margaret Rose Realy, Obl. 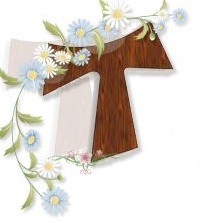 OSB. 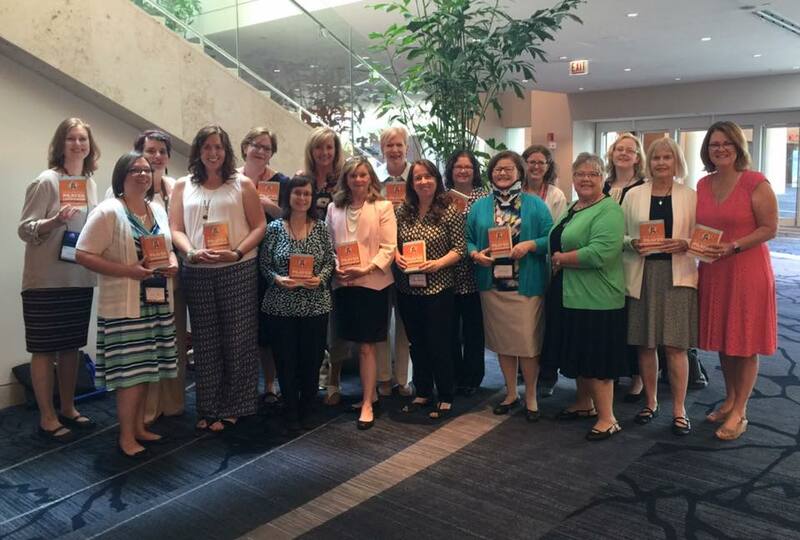 Thursday’s breakfast banquet offered an opportunity to meet some of the wonderful CatholicMom.com authors I work with. The only drawback: there was a banquet speaker, so we had to eat quietly and listen, but all we wanted to do was visit with each other! My St. Francis “bag booster.” It’s even more gorgeous in person! I met an illustrator and was asked for feedback on her manuscript. 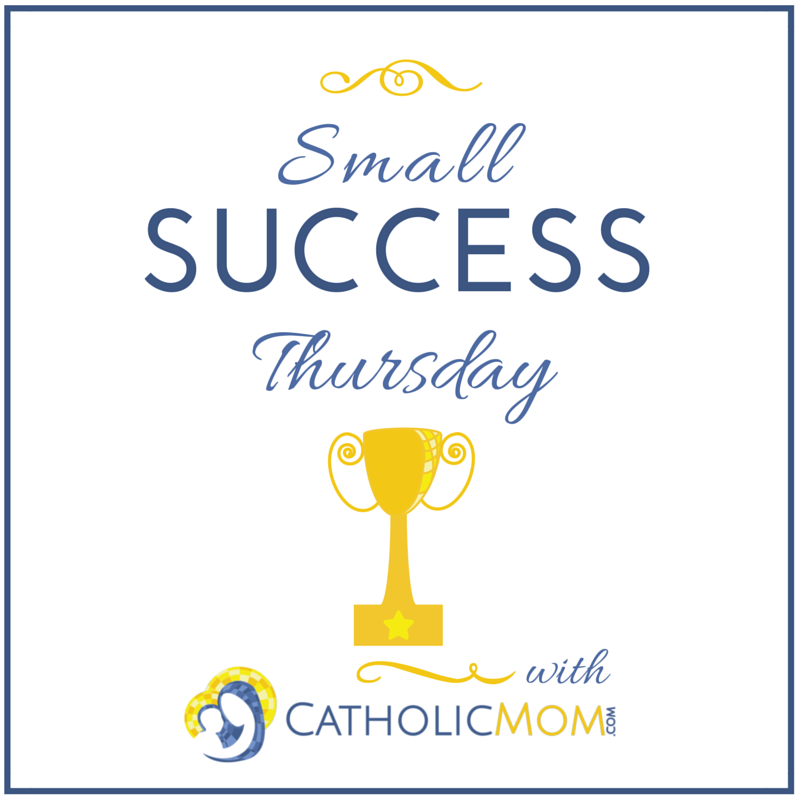 I chatted with a bookstore owner about the need for good Catholic books for kids. 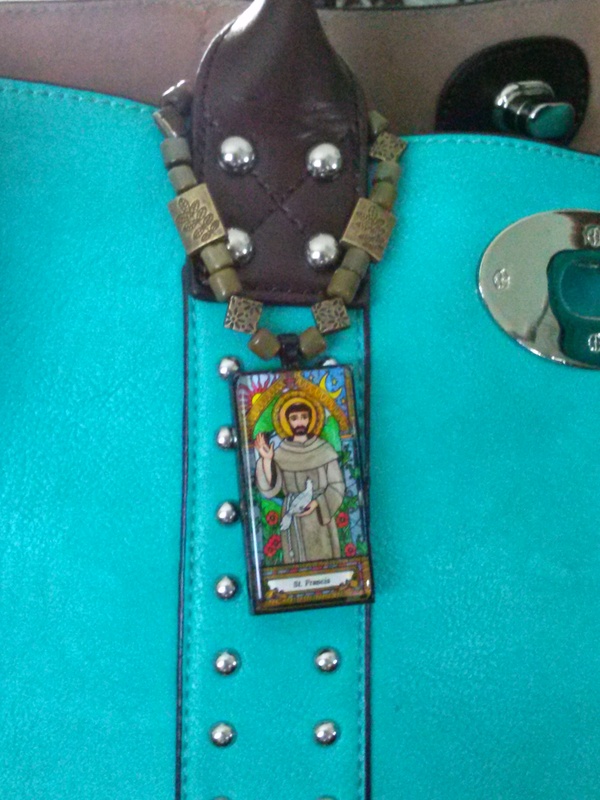 I did a little shopping–got a St. Francis “bag booster” from CatholicArtWorks.com, a neat family business where Mom does the art and the teenage daughters do custom and unique beadwork. No two bag boosters are alike! And these are not cheesy plastic. That stained-glass piece is heavy and sturdy. 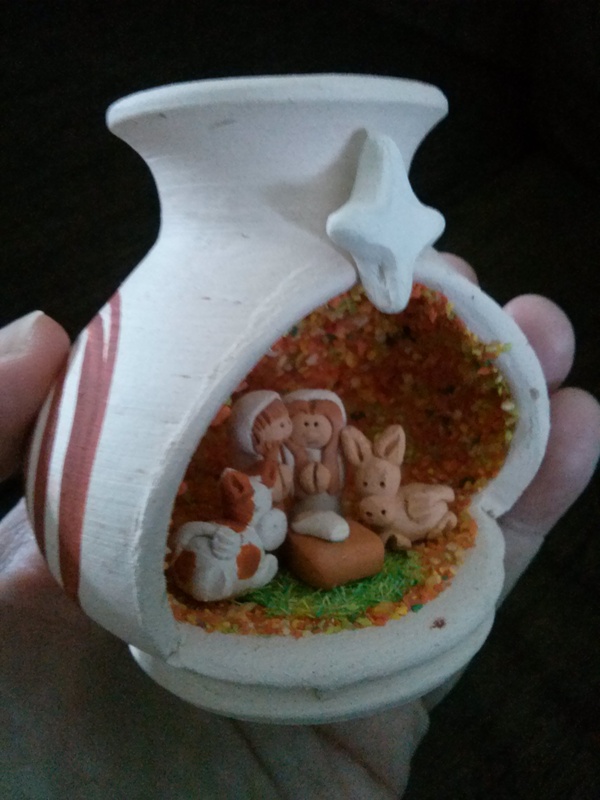 Tiny Nativity in a pottery “stable”–it fits in the palm of my hand! This little Nativity came from Ole Peru Imports. She had Nativity scenes of all sizes from Peru, Ecuador and Colombia. All are handmade and unique. With notebooks by Jen Norton, illustrator. Her artwork is beautiful and unique. And I purchased two notebooks from Jen Norton, who did the cover art for Sarah Reinhard’s Word by Word book, for which I was a participating author. 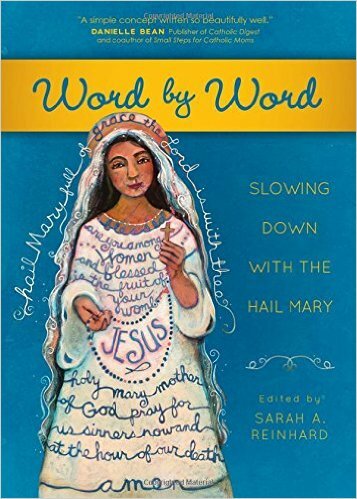 Once a month, the Catholic Writers Guild hosts a Book Blast where members provide social-media publicity for a randomly-chosen book written by a CWG member. 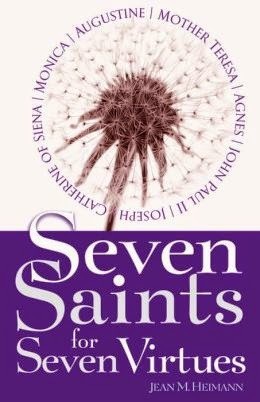 This month’s selection is a favorite of mine, by one of my favorite bloggers: Jean Heimann’s Seven Saints for Seven Virtues! 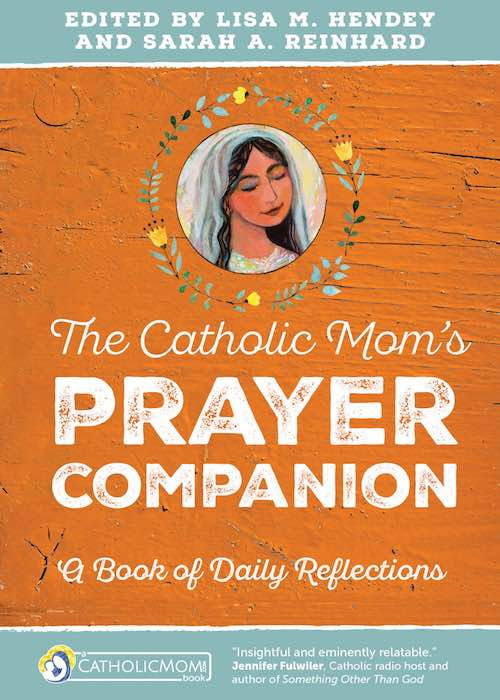 I’ve followed Jean’s blog, Catholic Fire, for years; the same careful scholarship and fervent faith she shows in the blog is revealed in this book. 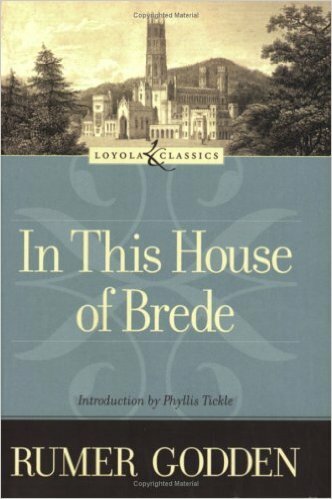 This book examines seven saints of the Church in association with a virtue for which each one is known. 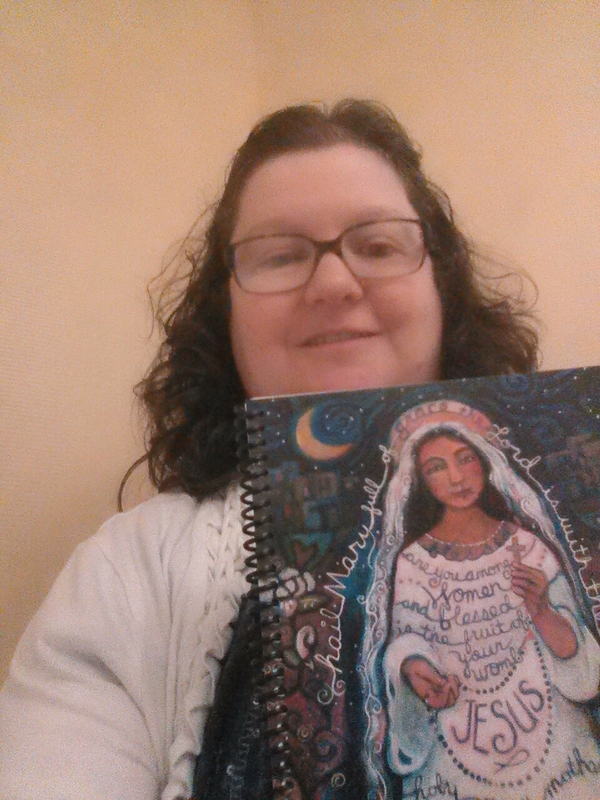 Your purchase of Seven Saints for Seven Virtues through my Amazon affiliate link helps to offset the costs of my website! Thanks! 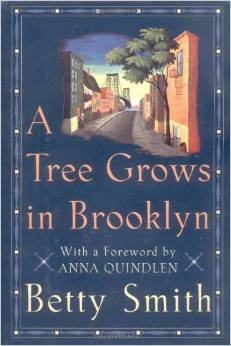 Clear your calendar before reading this book. Seriously. 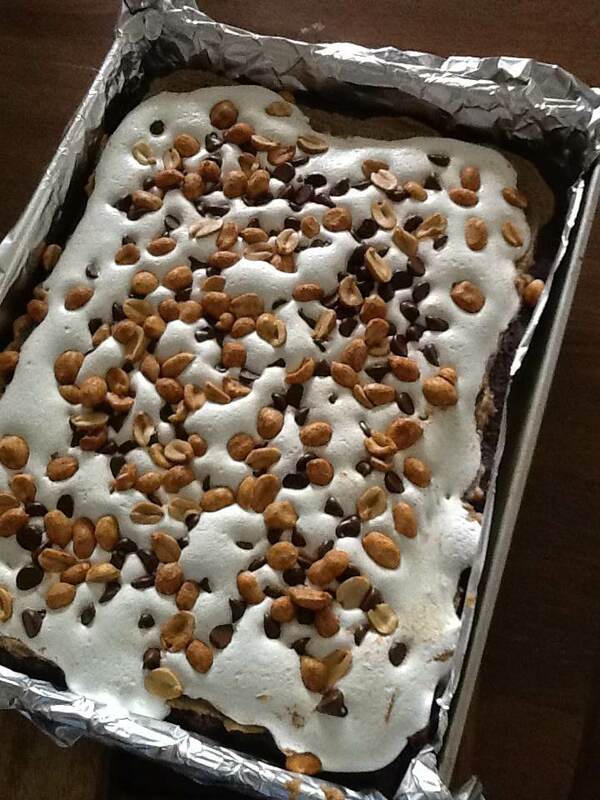 Once you start, you won’t want to have to put it down. Last week at the Catholic Writers Guild meeting, I had the pleasure of meeting the author (and publisher) of Stealing Jenny. Ellen Gable is as generous with hugs as she is with advice to aspiring authors, and this novel (her best one yet, in this reader’s opinion) shows that she is also masterful at creating suspense. I’ve enjoyed Ellen’s other novels: In Name Only and Emily’s Hope–and I look forward to her upcoming book A Subtle Grace, scheduled for publication late this year. But it’ll be tough to top this one. I’ll go a little sensational with my synopsis, because this story really does sound like it could be the Big Story on Action News, Ripped From the Headlines and all of that. 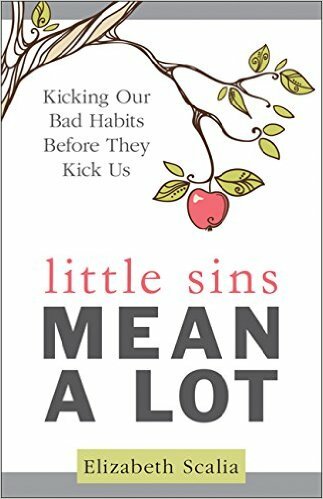 A young mother with a history of complicated pregnancies anticipates the birth of her child–but so does her neighbor, who harbors a deep grudge and plots to separate her, and her baby, from her happy family. I don’t generally go for mystery, crime or suspense novels, but this one had me hooked.